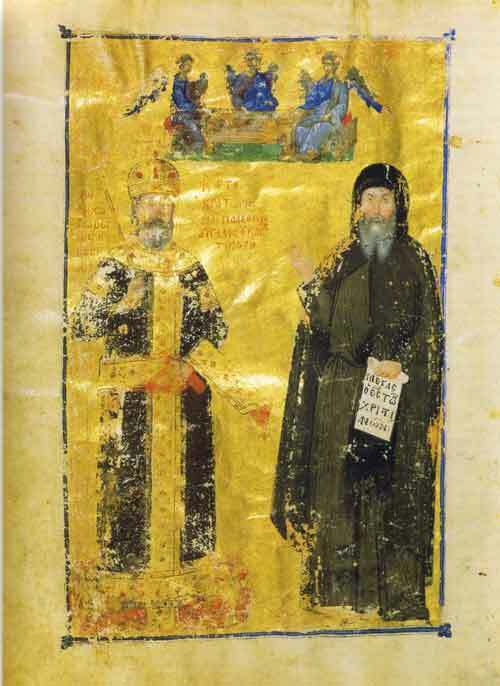 John VI Cantacuzenus ( Ιωάννης ΣΤ' Καντακουζηνός ) (c. 1292 – June 15, 1383), Byzantine emperor from 1347 to 1354, was born at Constantinople. Connected with the house of Palaeologus on his mother's side, on the accession of Andronicus III in 1328 he was entrusted with the supreme administration of affairs. On the death of the emperor in 1341, Cantacuzenus was left regent, and guardian of his son John V Palaeologus, who was but nine years of age. Being suspected by the empress and opposed by a powerful party at court, he rebelled, and had himself crowned emperor at Didymoteichos in Thrace, while John Palaeologus and his supporters maintained themselves at Constantinople. The civil war which ensued lasted six years, during which the rival parties called in the aid of the Serbians and Ottoman Turks, and engaged mercenaries of every description. It was only by the aid of the Turks, with whom he made a disgraceful bargain, that Cantacuzenus brought the war to a termination favourable to himself. In 1347 he entered Constantinople in triumph, and forced his opponents to an arrangement by which he became joint emperor with John Palaeologus and sole administrator during the minority of his colleague. 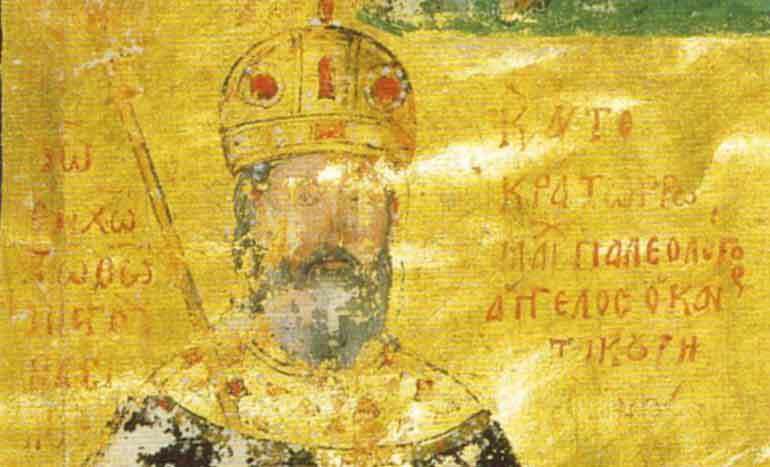 He made his own son Matthaios Asanes Kantakuzenos also a co-emperor. During this period, the empire, already broken up and reduced to the narrowest limits, was assailed on every side. There were wars with the Genoese, who had a colony at Galata and had money transactions with the court; and with the Serbians, who were at that time establishing an extensive empire on the north-western frontiers; and there was a hazardous alliance with the Turks, who made their first permanent settlement in Europe, at Gallipoli in Thrace, towards the end of his reign. Cantacuzenus was far too ready to invoke the aid of foreigners in his European quarrels; and as he had no money to pay them, this gave them a ready pretext for seizing upon a European town. The financial burdens imposed by him had long been displeasing to his subjects, and a strong party had always favoured John Palaeologus. Hence, when the latter entered Constantinople at the end of 1354, his success was easy. 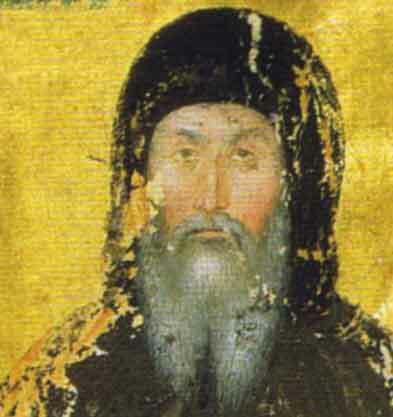 Cantacuzenus retired to a monastery (where he assumed the name of Joasaph Christodoulos) and occupied himself in literary labours. He died in the Peloponnese and was buried by his sons at Mistra in Laconia. His History in four books deals with the years 1320 - 1356. An apologia for his own actions, it needs to be read with caution; fortunately it can be supplemented and corrected by the work of a contemporary, Gregoras Nicephorus. It possesses the merit of being well arranged and homogeneous, the incidents being grouped round the chief actor in the person of the author, but the information is defective on matters with which he is not directly concerned.